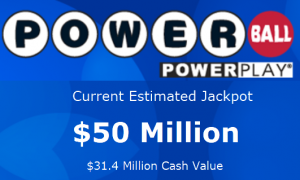 There was no winner of the Powerball draw on February 9th meaning that jackpot will once again rollover and it will now be in the region of $50 million. 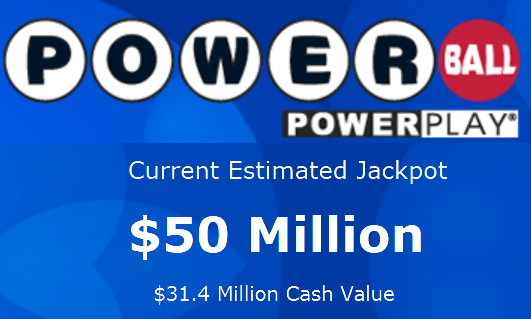 The numbers 5, 6, 16, 36, 58 were drawn with Powerball number 03. However, there were three ticket holders who matched five numbers and won $1 million each, the tickets were bought in Florida, Maryland and New York. In total 448,280 non-jackpot winning tickets were sold with a combined value of $6,252,616 in prizes. The next draw will take place on Wednesday February 13th, if there is no winner then the jackpot will rollover one again. In other news the jackpot in the Florida Lotto game was also without a winner in the latest draw and it is now worth $16 million. 27 tickets matched five numbers and won $6,714 while 1,958 tickets matched four numbers to win $72.50. If you live in a state with a lottery be sure to go out and buy your ticket soon, with a bit of luck you could be a millionaire this time next week.